I've just read this book by Dr Jo Cribb and David Glover. It's an easy going read with stories and practical steps to that they guide you through. It almost feels like it holds your hand as you turn the pages. It sums up the topics clearly and concisely. You'll know by now that any steps in leadership starts with leading yourself and knowing yourself. Whether this is about knowing and owning your story, being able to articulate your why or knowing what you want; it all builds the base for being authentic and your best self. Understanding your personal values is a piece of this picture. I spend a fair bit of time talking about values in different contexts, and the times I have dug into looking at my own values always brings a fresh feel to the why, what and how of my life. 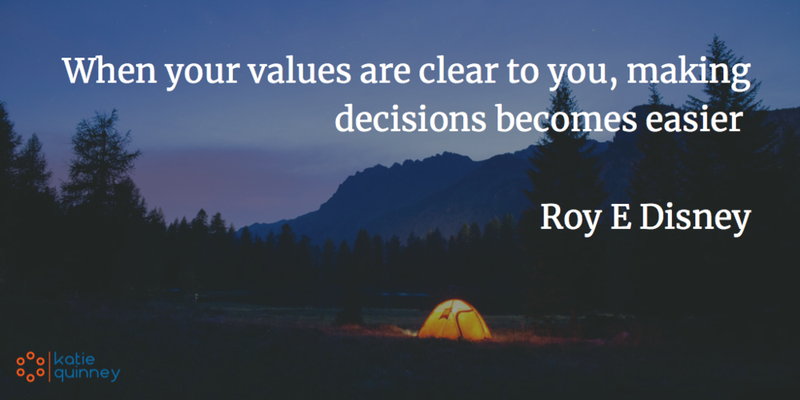 Your values guide your decisions and define where your boundaries are, they also evolve as your life inevitably changes. In their book Dr Jo Cribb and David Glover summarise the benefit of taking some time to look at what you really value and list some tools and sites to help you. "If you take the time to look at what you really value and the result surprises you, it may be that your current focus and time are going to the wrong things"
Do you know what you value or could you describe your values?